A truly good book teaches me better than to read it. I must soon lay it down, and commence living on its hint … . What I began by reading, I must finish by acting. I recently watched another video about Bullet Journals. 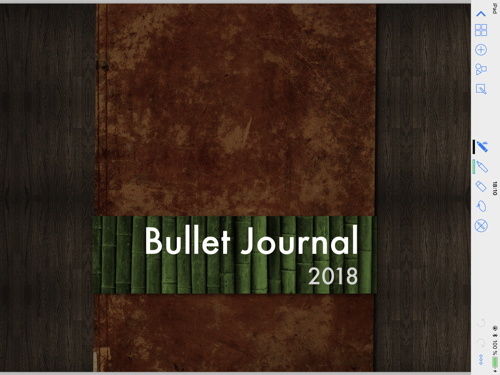 I did write about Bullet Journals a while ago and I’m still sticking with my digital solution (Keynote, yeah, at least for the journal part). 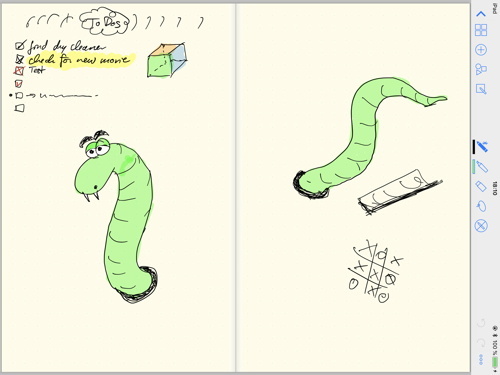 Personally, I can’t draw and my handwriting is atrocious, so an analog journal just would not work for me. Plus, why would I spend all that time on a paper journal I could lose anytime, anywhere. I’d be paralyzed by the paper pages. Just a proof-of-concept with a few images found online. Cover page, plain paper, just a quick sketch. Another quick sketch. Yeah, I can’t draw for …, that’s why I work digitally. BTW, the pages were created in landscape format in Keynote (setting the presentation size to 1668 x 2129), then exported as PNG (cover as jpg), and then rotated by 90°. Reason being I leave the iPad in portrait mode but turn it by 90°, so the toolbar is on the right side (don’t seem to accidentally trigger the buttons). The toolbar just takes up too much screen real-estate in landscape mode and would severely impact the simulated paper length x width ratio. 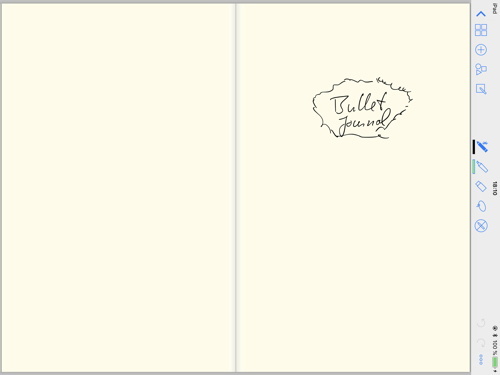 And yeah, I could have simply used one page, but creating these spreads makes sense if you think in journal pages. So far, it’s only a short test, but I think it allows for the best of both worlds. You’ve got a journal you can configure as desired, it’s digital, so backups are possible, plus you have lots and lots of colors with you and can easily add images (incl. photos). But not sure how many pages GoodNotes can deal with, or whether there are downsides to large file sizes. And yeah, personally, I think I’ll stick with Keynote, at least for now. Typing notes with a (physical) keyboard and being able to search through them is just too convenient. But it does look cool.